The Hooch Hauler is a re-purposed horse trailer, that now functions as a mobile bar. The idea got its start as modern day wedding dowry of sorts. The bride and groom wanted a special bar for their wedding. 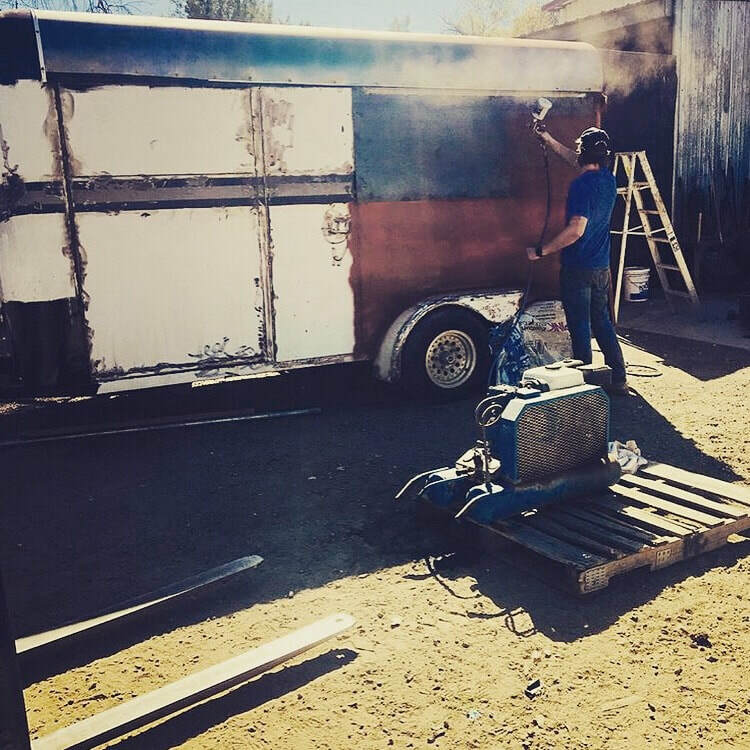 The groom, wanting to do something nice for his sweetie, said "I can build you one," and found the perfect old rusted out horse trailer abandoned at Tucalota Creek Ranch, the venue for their wedding. With (LOTS) of help of his father, brother, and TCR's ranch manager, the Hooch Hauler came to life. Needless to say it was quite popular among the wedding guests. We like to think it was because they were so intrigued with the craftsmanship, but the steady flow of drinks may have had something to with it. With its beer taps, refrigerators, freezers and ample booze storage it was the functional focal point of the party. We hope you can enjoy getting "hitched" as much as we did.